Home » Health » What Is Agoraphobia? Agoraphobia is one type of anxiety disorder in humans, where the sufferer feels excessive fear and avoids a place or situation that causes panic and makes him embarrassed, trapped or helpless. These situations are, for example, when using mass transportation, in crowds, or in line. Open spaces such as bridges and parking lots, as well as enclosed spaces such as shops and cinemas also make agoraphobia sufferers worry. Most of these agoraphobia disorders develop after the sufferer experiences one or more panic attacks. If forced to the public, agoraphobia sufferers feel the need to be accompanied by people they trust, such as family members or close friends, because they do not feel safe. Physical symptoms, usually only appear when the patient in a situation or environment that trigger anxiety. The physical symptoms of agoraphobia include rapid heartbeat and sweating, feeling hot and sweating, feeling unwell, chest pain, difficulty swallowing, diarrhea, trembling, dizziness, tinnitus , and feeling faint. Cognitive symptoms, ie feelings or thoughts of patients who can relate to physical symptoms. Some of the cognitive symptoms of agoraphobia, among others, are the fear that panic attacks that are experienced will be life threatening and make it look like a fool. In case of panic attack, the patient feels that he can not escape from the situation. Patients also feel afraid of losing their sanity, self-control, and being the focus of the people around him. Behavioral symptoms, such as avoiding situations prone to panic attacks, such as being in public transport, queuing, or in a crowd. The sufferer also avoids leaving the house or is unable to leave the house for long periods of time, and needs a trusted person to accompany him wherever he goes. Until now, the exact cause of agoraphobia remains undiscovered. Agoraphobia generally develops as a complication of panic attacks. This is due to the avoidance and excessive fear of panic attacks. Biological factors (health and hereditary conditions), nature and behavior, environmental stress, and life experiences play a role in the development of agoraphobia. Age. Agoraphobia can begin to be felt as a child, but is generally felt only when one enters the transition phase from adolescence to adulthood. Usually before reaching the age of 35 years. Suffer from a phobia. 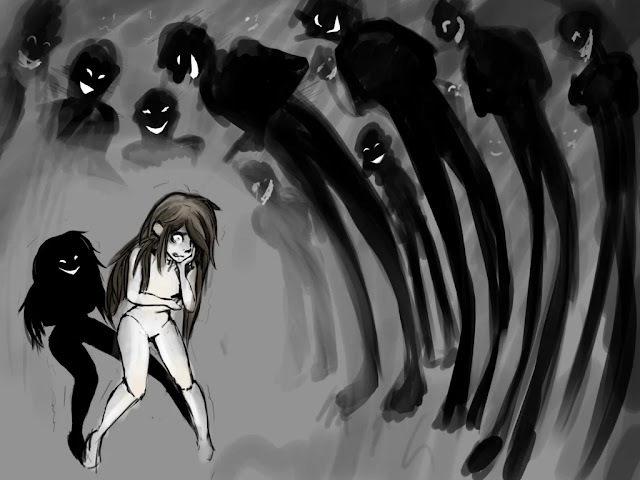 In addition to panic disorder, agoraphobia can be triggered by an exaggerated fear ( phobia ) of something. Have experienced traumatic events , such as torture or death of the family. Have anxiety and nervous nature. Have a family member suffering from agoraphobia. Clinical symptoms and signs in patients. In-depth interviews with patients, conducted by doctors, psychologists, or psychiatrists. Physical examination, to identify any other cause. Psychotherapy. Patients will be assisted by a psychologist or psychiatrist to learn to reduce the symptoms of anxiety. Examples of therapies that can be done are cognitive behavioral therapy and exposure therapy. Consumption of drugs . The doctor will also prescribe an antidepressant or an antianxiety drug to relieve symptoms of anxiety. There is no definite step to prevent agoraphobia. However, anxiety tends to increase if the patient avoids the situation he fears. If you have agoraphobia, practice to overcome and control the fear of a place. Invite family members or friends to go together to the dreaded place. Alcohol and Drug Dependence . Other mental disorders, such as anxiety disorders or personality disorders. 0 Response to "What Is Agoraphobia?"